Lymphatic therapy is a safe and effective means of improving immunity, recovering from cancer treatments, and bolstering health and well being in a variety of conditions. 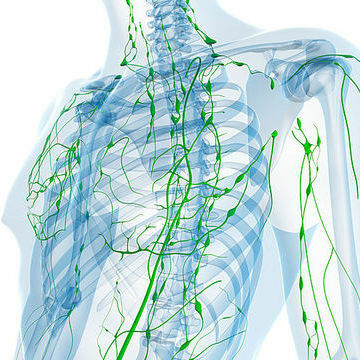 My 30 years of experience in therapeutic massage influences the more specialized techniques of lymphatic treatment that I provide. Because it is such a light hands-on therapy, it is comfortable to receive even when there is considerable pain and swelling present. Massage therapy is a common treatment of choice for many health conscious individuals. Physicians often refer patients to massage therapists for help in recovering from injuries and illness. Massage decreases the effects of stress, reduces pain in muscles and joints and calms the nervous system.